“China’s stability is very important for the world; after all China has become the driving force of global economic development,” Ronnie Lins, director of the China-Brazil Center for Research and Business, told Xinhua. In its latest report, the International Monetary Fund raised its forecast for the global economy. One important reason is the performance of the Chinese economy in the first half of 2017 and the Chinese government’s continuous policy support. Khairy Tourk, a professor with the Stuart School of Business of Illinois Institute of Technology in Chicago, spoke highly of China’s achievements in the past five years. Tourk noted that China has maintained a spectacular pace of economic growth, kept the yuan stable amid many difficulties, reduced its debt, and adopted innovative strategies. “I’m confident that people are beginning to get what Xi Jinping talked about in Davos,” said Stephen Perry, chairman of Britain’s 48 Group Club, an independent business network committed to promoting positive links with China. “It’s about letting all develop together in a sustainable way and find out our solutions through peaceful ways rather than conflict,” he added. Paul Sheard, executive vice president and chief economist of S&P Global, an American publicly traded corporation headquartered in New York City, expected that China will accelerate reforms that are needed to sustain longer-term growth even at the expense of lower short-term growth. For Yukio Hatoyama, former Japanese prime minister, the current most pressing issues facing the world are climate change and environmental protection. “I hope the new Chinese leadership will play an important role in solving global environment issues,” he said. “China has yet to formulate a true “grand strategy” and the question is whether it wants to do so at all, or whether it wants to develop more and more concrete individual strategies, such as the indigenisation of its economy, the modernisation of its army, and the build-up of its blue-water navy, just to name a few. 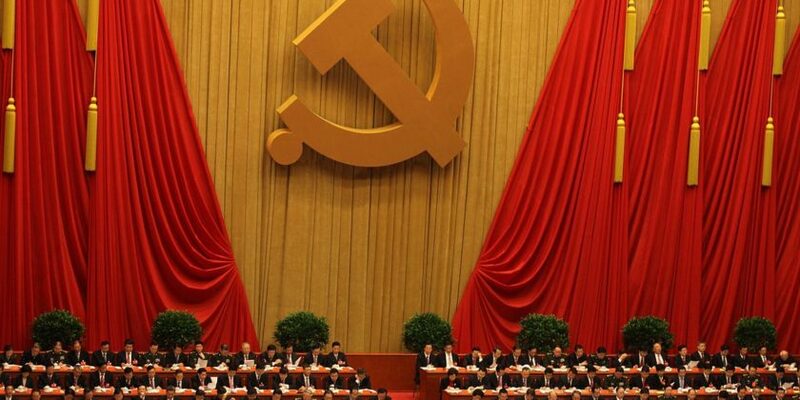 Many strategies do not equal one grand strategy but, taken together, they can reveal the broad strategic direction in which China is heading,” Angela Stanzel, Nadège Rolland, Jabin Jacob, Melanie Hart write for the ECFR.